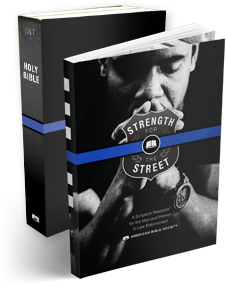 Strength for the Street is more than a Bible and devotional for members of law enforcement. It is a robust and expanding initiative to engage law enforcement communities around the U.S. with God’s Word. Whether you’re a police officer, police chaplain, family member of an officer, or member of the community who is passionate about bringing God’s Word to police officers in your community, these resources are for you. 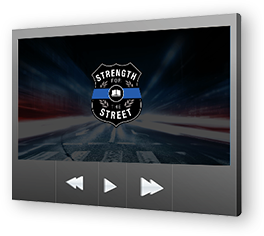 Dive into video and audio resources to discover wisdom and strength for life as a member of U.S. law enforcement. Then download digital Strength for the Street resources, including a topical index and 7-day devotional. If you already own a Strength for the Street Bible, complete this survey to receive the devotional book. If you have the devotional, complete for your copy of the Bible.